A mulch is something, organic or inorganic, that is spread on the soil to prevent erosion, retain moisture, prevent weeds from sprouting and keep the roots of plants cool. A good mulch will increase the plants' production, decrease the incidence of pest and disease infestations, decrease time spent watering and weeding, and just makes a gardener's life easier. Mulches need not be expensive to be effective. Spreading free grass clippings around your plants is just as effective as spreading bagged wood chips or shredded bark, which can cost hundreds of dollars. Plastic mulches are expensive but they are effective. Black and red plastic warm up the soil faster in spring than other mulches and keep tomato plant roots cooler in hot weather. Tomatoes grown with plastic mulches produce fruit earlier and produce more fruit throughout the season than with other mulches. Spread the plastic three to five weeks before you plan to plant your tomatoes. Make slits in the plastic for your planting holes. Some downsides to plastic mulches: weeds often grow up through the planting holes crowding the tomato plants; plastic mulch has to be replaced every year; black and red plastic mulches are very expensive. Compost is an organic mulch that will add nutrients and microbes to soil as it decomposes. Tomato plants are generally bigger, healthier and have bigger fruit when mulched with compost. Mulch tomato plants with 3 to 4 inches of compost. The compost will likely need refreshing (add more) in mid to late summer. When your tomato plants are through producing at the end of the year, simply work the compost mulch into the soil. Some drawbacks to compost as a mulch: it needs refreshing once or twice during the growing season. It is not as effective a barrier to weeds as some other mulches. Well rotted manure is kind of like compost when used as a mulch. It adds nutrients, mainly nitrogen, to the soil as it decomposes and makes for healthier, happier tomato plants. Use 3 to 4 inches of manure to mulch around your tomato plants. Always use well rotted manure as a mulch. Manure that is not rotted may "burn" the plants and is not effective as a mulch. Manure, particularly horse manure, may contain weed seeds so it is not as effective at weed control as some other mulches. Well rotted manure is high in nitrogen and low in phosphorus and potassium, which can lead to imbalances in the nutrients in your soil. Straw is an inexpensive and popular mulch. It's easy to use and work with, does not need refreshing during the growing season, keeps the soil moist and keeps tomatoes growing low on the plant from touching the soil. Straw is not hay. Do not use hay as a mulch as hay contains seeds that will germinate in your garden. At the end of the growing season remove straw mulch and use it to winterize tender perennials or simply add it to your compost pile. A downside to using straw: it does not add nutrients to the soil; weeds will sometimes germinate on top of the straw; small rodents like to burrow through the straw, which could lead to loss of some of your tomato crop. Shredded bark and wood chips are the most expensive mulch. Unless of course you have a tree fall in your yard and chip the wood yourself. Shredded bark or wood chips will last for a growing season, but like straw you will have to remove them from the soil at the end of the growing season. Depending on the type of wood you use it may contain bacteria or insect pests that could munch on your tomato plants. It is not as effective for erosion control as other mulches. Grass clippings and leaves are the cheapest mulches available to gardeners. Grass clippings and leaves have the same benefits and drawbacks as straw. 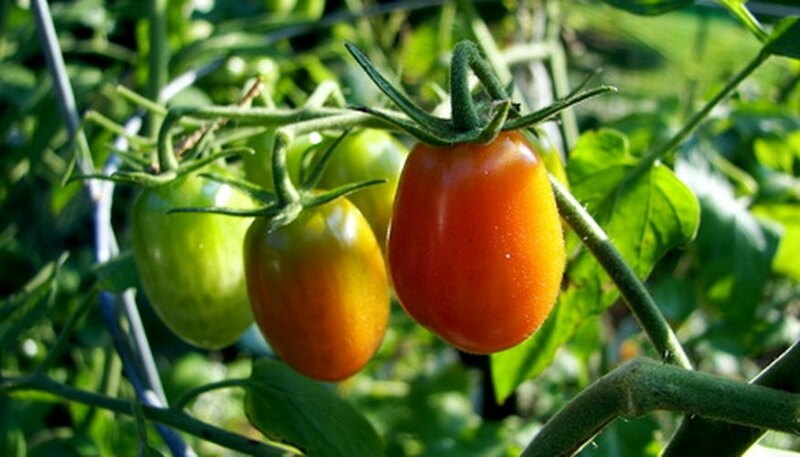 With some exceptions: at the end of the growing season you can till or work them into the soil; grass clippings and leaves will take nitrogen and microbes from the soil as they decompose leaving less nitrogen for your tomato plants; they need refreshing frequently during the growing season. Do I Use Black Plastic Under My Mulch or Not?